From the humble beginning of a small town grocery store known as Kedia Runcit Tong Lee Chan in Tongkah Morib, Banting, Selangor 80 years agoby the late Mr. Yong Kee Mee who came from China to begin a new life in Malaya to support his young family. Eight decades later Mr Kenny Yong, Managing Director of TLC Supersaver Sdn Bhd, sets out with the same entrepreneurial spirit to conceptualised and established a modern lifestyle hypermarket to meet the hectic demands of urban lifestyle of residents of the surrounding area of Shamelin Perkasa, Pandan Perdana, Pandan Jaya, Taman Maluri, Ampang & Cheras. 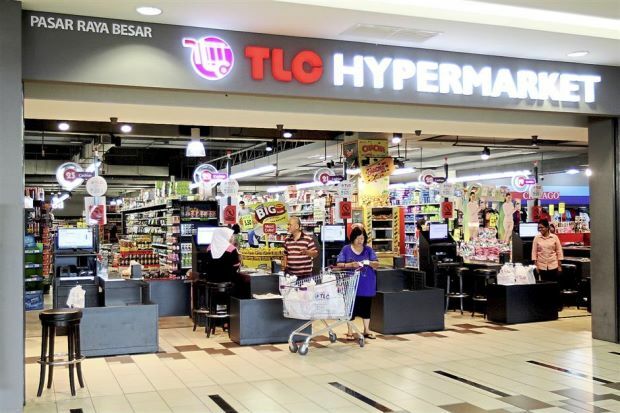 In remembrance of his late grandfather Mr.Yong Kee Mee, he decided to named it after an acronym of the Tong Lee Chan Grocery Store – TLC Hypermarket! TLC aims is to set itself apart by offering great deals with emphasis on modern contemporary hypermarket experience that serves freshness of its range of fresh produce of vegetables, meat & fishes, to a wide variety in the general merchandise section, from hair & beauty line products to the ubiquitous household amenities, a separate non-halal section, all these in an ultra-modern and comfortable shopping experience. – To Deliver Fresh Produce & Products @ Affordable Prices, Everyday! – To Deliver Customers’ Satisfaction through Best Shopping Experience, Everyday! At TLC Hypermarket where It’s A Great Shopping Experience Every Day with Healthier & Fresh Produce at Affordable Prices Always! Address: TLC Hypermarket, Unit 3-01, Level 3, 1 Shamelin Shopping Mall, No. 100, Jalan 4/91, Taman Shamelin Perkasa, 56100 Kuala Lumpur, Malaysia.